ACO Mold is China plastic injection mould manufacturer located in Shenzhen, China, established in 2000, mainly develops, designs and manufactures all kinds of plastic injection moulds, and provides one-stop services such as external injection moulding, spray coating, silk screen printing, pad printing, electroplating and injection moulded parts assembly. We offer custom injection mould making and plastic parts production for global companies. We serve a wide range of industrial, including household application, auto, electronic, medical, agriculture etc. Below are 4 cases of injection mould making. 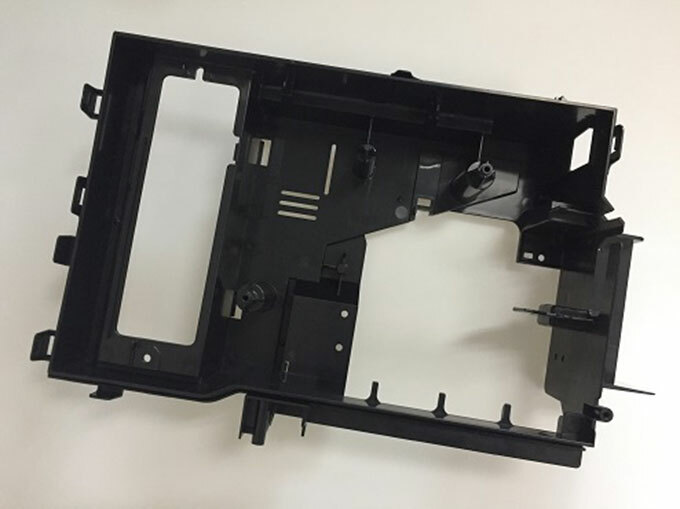 The professional team manages and controls the quality and progress of the injection moulding manufacturing project, and the professional engineers perform the pre-production analysis, mould structure design. For large-size and high-drop lighting parts, the large horizontal, five-axis CNC and the double-head spark machine equipment have outstanding advantages in controlling machining accuracy and shortening delivery time. Appearance parts, high appearance requirements, appearance such as deformation and shrinkage are solved by improving the rubber inlet. Flat tops, tendons is so many, so as to avoid burrs, processing precision requirements and mould requirements are high. 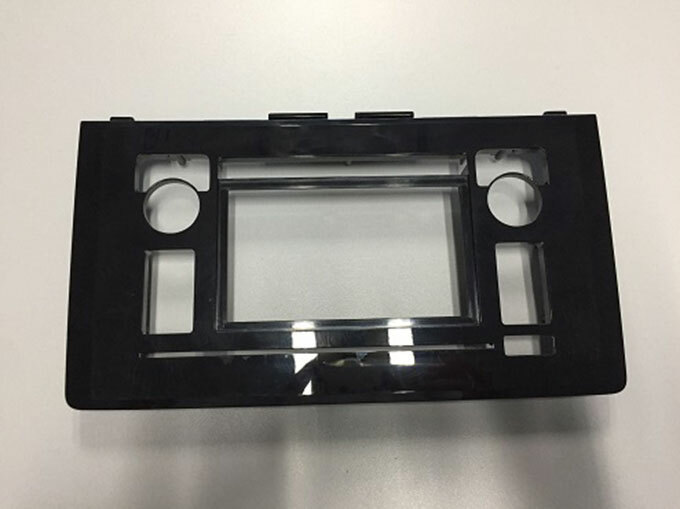 The requirement for the size of the buckle is high, and the middle is the place where the glass is assembled, the requirement for the deformation is high (within 0.1mm). The important position of the product has no burrs, and the requirements of some sections are extremely high, and the control is within 0.03mm. The product glue position is relatively thick, and the product in our company-ACO Mould has short injection moulding cycle. Due to the high and complex cooling requirements during moulding, the products have many deep cavities and easy to deform. Our company has made pre-deformation for customers in the early stage of injection mould making. The part directly touch with hand, the product requires a high step difference. The product structure is limited, the cooling is difficult, and the moulding cycle is required to be short. It mainly includes printer-type moulds, and the appearance products are required for surface treading and high deformation requirements. Most of the inner parts are precision connecting parts and transmission parts. 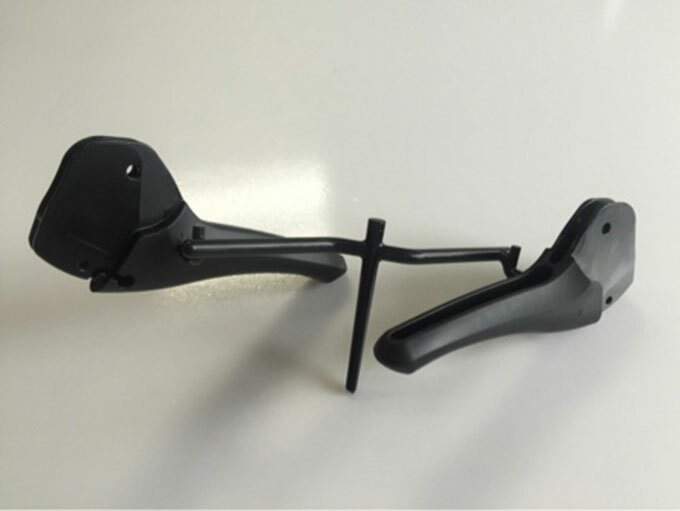 The dimensional requirements are high, the assembly dimensional tolerances are all within 0.05MM, and the deformation requirements are controlled within 0.3MM. All dimensional tolerances require -0.05~0 (general appliance mould tolerance is ±0.1), and the dimensional requirements are high. Important dimensions of columns, holes etc use the mosaic structure to improve the machining accuracy of the parts. The product is the internal structural part of the printer, and the step difference is high. 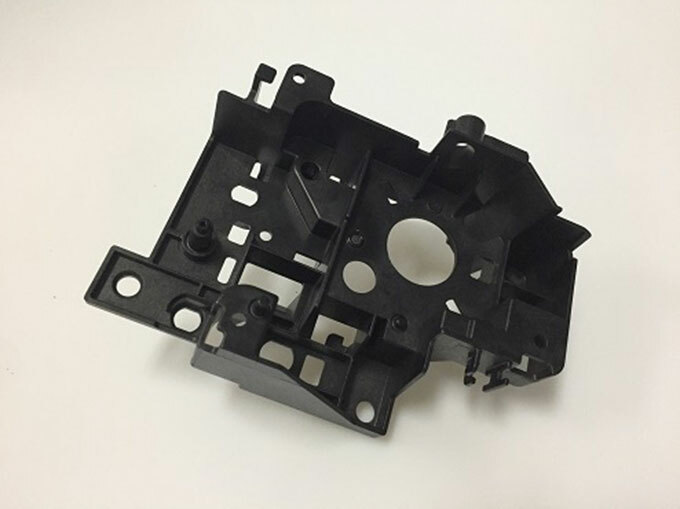 Household appliance injection mould mainly used in these plastic products such as air conditioners, household appliances, small household appliances and so on. It mainly characterized by short mould making cycle, average life expectancy of more than 500,000 times, short injection moulding cycle, automatic production, high stability and high mould precision etc. In China, we have the research and development strength of super-class air-conditioning mould technology. The product has 4 gates. Due to the need for wiring, there are many lines to prevent the circuit line from being broken due to appearance problems such as burrs, so the requirements for burr are extremely high. ACO Mould has 30 years of experience in mould design, the team accounted for about 30%, providing optimized solutions for customized products, shortening product development and time-to-market for customer. ACO Mould equipped with full range of top-grade precision processing equipment imported from Japan, Makino CNC, ED equipment processing accuracy can reach ±0.01MM, and Mitsubishi WEDM equipment reaches ±0.003MM. The four major links of incoming materials (IQC), process products (IPQC), moulded products (FQC), and mould shipments (OQC) are strictly controlled to help customers achieve perfect products quality. The implementation of full staff delivery management, short delivery time, help customers save product production cycle, shorten product market launch time, and win greater benefits for customers. Application of advanced information systems of ERP, OA, PDM, MES etc to establish a process, information, automation, intelligent management and production system. If your product is still in the concept stage, you only need to present your ideas, product features and appearance requirements. Our engineers will give you the best solution, recommend the most suitable materials, and help you take the lead in the market. We are ready and looking forward to cooperate with your next project. So welcome to the contact page above to get a free quote!